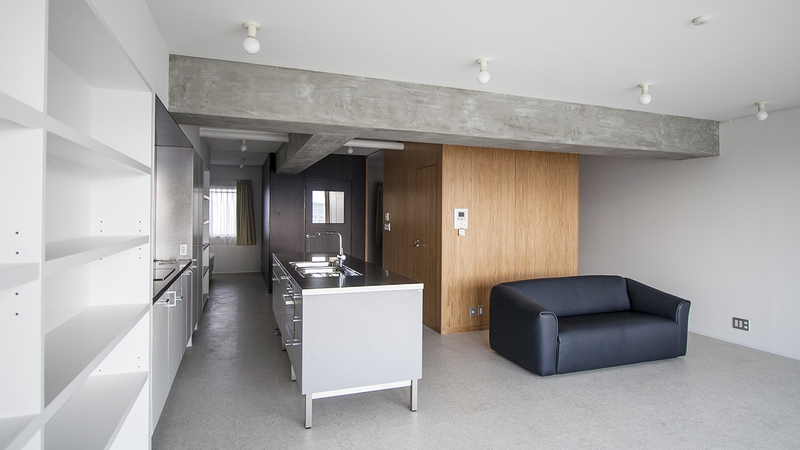 In this renovated apartment in Tokyo, the plan enables the celebration of multiple events by means of an open, continuous space, articulated by service cores. The owner considered the original apartment layout unnecessarily intricate, and wished to eliminate the Japanese-style tatami room in order to expand the living room and be able to celebrate large family and friends gatherings. 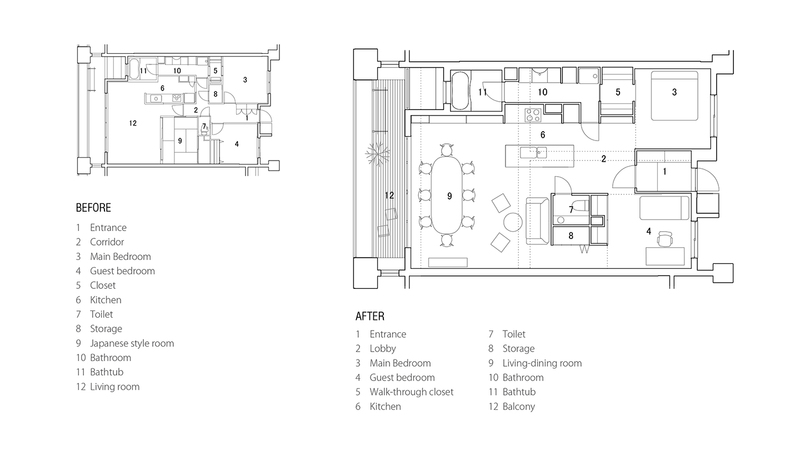 We propose a transformable space by using floor-to-ceiling sliding walls. When these are open, the whole apartment becomes an event space. 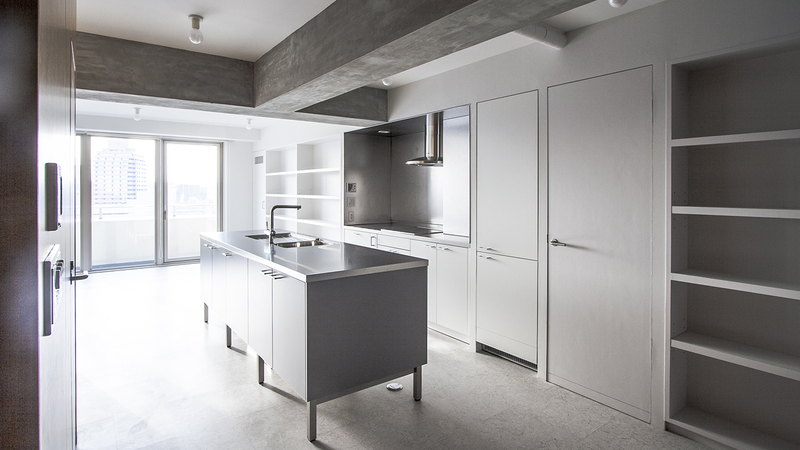 Additionally, this unobstructed space allows cross-ventilation through the whole apartment, which makes almost unnecessary the use of air conditioning in Tokyo’s hot and humid summers. When conventional rooms are necessary, the sliding walls can be closed in order to create isolated areas for sleeping. In metropolitan areas like Tokyo, where houses are small enclosed realms, and there is no custom of receiving guests at home, this transformable space offers a way to make tiny apartments more social and open.